The Bridgegate 5: Where Are They Now? Unemployed and unable to find a job, the woman who wrote the infamous "time for some traffic problems in Fort Lee" is relying on financial help from family members, according to her attorney. The federal investigation into her role in the lane closures continues, with the possibility that she could be charged under federal laws that deal with the misallocation of property, interference with one's constitutional rights and conspiracy. But the criminal defense attorney representing her, Michael Critchley, says if the federal prosecutor indicts her, he won't be able to convict. Even though the internal investigation Christie commissioned into Bridgegate depicted Kelly as an emotional, unstable, scorned lover of her former boss, Bill Stepien, Critchley says Kelly is an accomplished woman, a mother of four, and she would remain composed on the witness stand. But more to the point, Critchley said Kelly has evidence to back up her claim that she was not responsible for giving the order to close the lanes. "She's a concierge, not a policy maker," he said. Critchley noted that David Wildstein, the port official who received her fateful email, never mentioned Kelly's name as the person who ordered the lanes closed, according to accounts of Christie officials who spoke to Wildstein in the aftermath. The feds don't have a case, Critchley claims, but he wishes Kelly's name hadn't been tainted to the point that she can't find a job. Stepien does not appear to be in legal trouble, and has not been implicated in the ordering of the lane closures. But he will never be the manager of Christie's presidential campaign, as was once thought to be inevitable. Christie fired Stepien from his roles with the Republican Governors Association, which Christie chairs, and the state Republican party, which Christie is the de facto leader of, for his "judgment" in the aftermath of the Bridgegate affair. Or affairs. Stepien had a sexual relationship with Kelly, who ordered the lanes closed, according to Christie’s internal investigation. Stepien also called the mayor of Fort Lee an "idiot." A friend of Wildstein, Stepien had run two successful campaigns for Christie and was thought to be in line to be the manager of Christie's presidential campaign -- until Bridgegate. 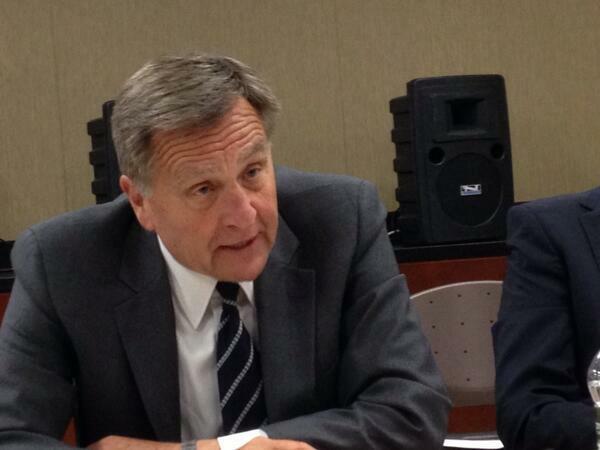 But Christie has not ruled out the possibility of working with Stepien again. He has already returned to the world of political consulting -- making $6,000-a-month for a group that works to elect Republicans in New Jersey. Stepien has also done consulting this year for a Minnesota-based political firm with Christie ties. Wildstein has not appeared in public since exercising his constitutional right not to incriminate himself before the state legislative panel investigating the bridge lane closures. The former Director of Interstate Capital Projects resigned last December from his $150,000-a-year job at the Port Authority of New York and New Jersey. Wildstein released more than 900 pages of explosive documents, including the now infamous “Time for some traffic problems in Fort Lee” email. But then Wildstein went mum, invoking the fifth amendment for every question the state legislature asked him when he appeared before them January 9, other than his name and where he lives (Montville, NJ). 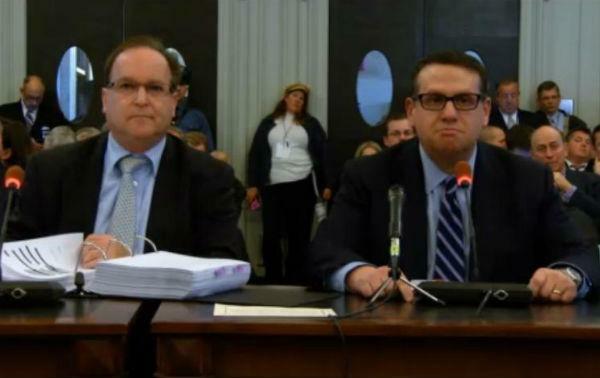 Wildstein, in a plea for the Port Authority to pay his legal bills, surfaced at the end of January to claim that “evidence exists” that Christie had knowledge of the lane closures while they were occurring. Wildstein declined to cooperate with Christie’s hand-picked legal team for their report, released in March. He has been seen near the grand jury in Newark, but has otherwise kept a low profile. Baroni has landed a job as counsel at the Princeton law firm Hill-Wallack. He has kept a low profile, and like Wildstein, has not been able to persuade the Port Authority to pay his legal bills. 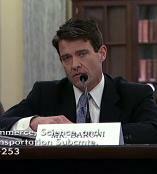 But Baroni also figures prominently in the attempt to cover up the reason for the lane closures. In hours of what is now widely seen as false testimony to the New Jersey Legislature, Baroni insisted the four-day traffic jam was a legitimate traffic study gone awry. “Nobody in this room believes that!” one Assemblywoman snapped at Baroni during his testimony last November. Afterwards, Christie’s campaign manager, Stepien, thanked Baroni for his performance, acknowledging “it was not as fun as beating up on” former U.S. Senator Frank Lautenberg, referring to previous Baroni testimony. Until Bridgegate, Samson may have been the most powerful person in New Jersey that few had ever heard of. Now he has resigned as Chairman of the Port Authority and is thought to be facing criminal charges on both sides of the Hudson. The Bridgegate documents show Samson with a detailed operational role inside the Port Authority. He consulted daily with Bill Baroni and held several phone calls the morning the bridge lanes were re-opened by the executive director of the Port Authority. Samson would also emerge as a key figure in the second Christie scandal, involving allegations of trading Sandy aid for political support. Then WNYC, The Record, and other news outlets reported on his soaring business fortunes under Christie, and on conflicts of interest between his private law firm, Wolff & Samson, and his public role as Port Authority Chief. 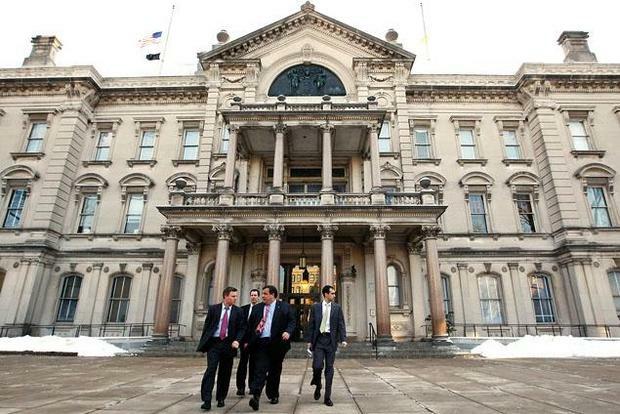 Christie stood by his friend as the criticism mounted, and Samson resigned in March. The U.S. Attorney in New Jersey, the Manhattan District Attorney, and the Securities and Exchange Commission have all opened investigations of his business dealings. Samson, 74, continues as lead partner at Wolff & Samson, which continues to do business with the state of New Jersey. He has retained Michael Chertoff, the former U.S. Homeland Security Director, to represent him.